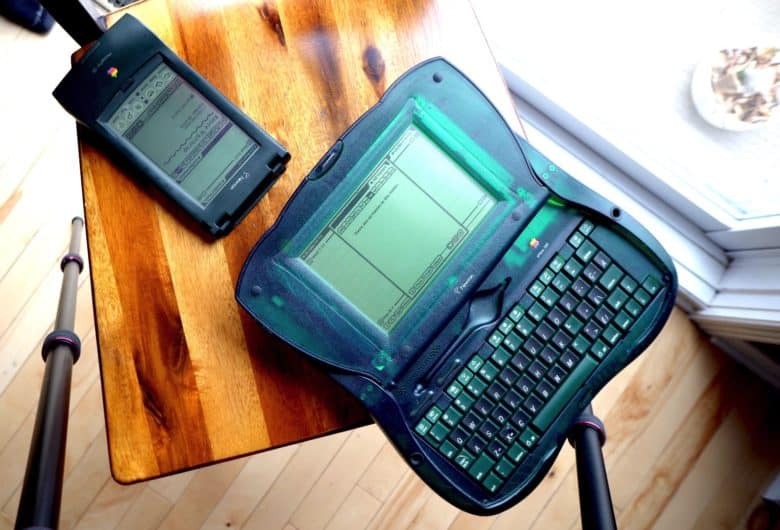 Both the MessagePad 120 and eMate devices grew out of the Newton project. The Newton MessagePad is simultaneously one of Apple’s biggest flops and one of the company’s most underrated products. A series of PDA devices available during the 1990s, today Newtons are much-sought-after relics among a group of enthusiastic Apple fans. These collectors recognize the devices for the forward-looking gadgets they truly were. The Newton product line is now the subject of a new feature-length documentary, titled Love Notes to Newton. Can it do justice to its beloved subject matter? 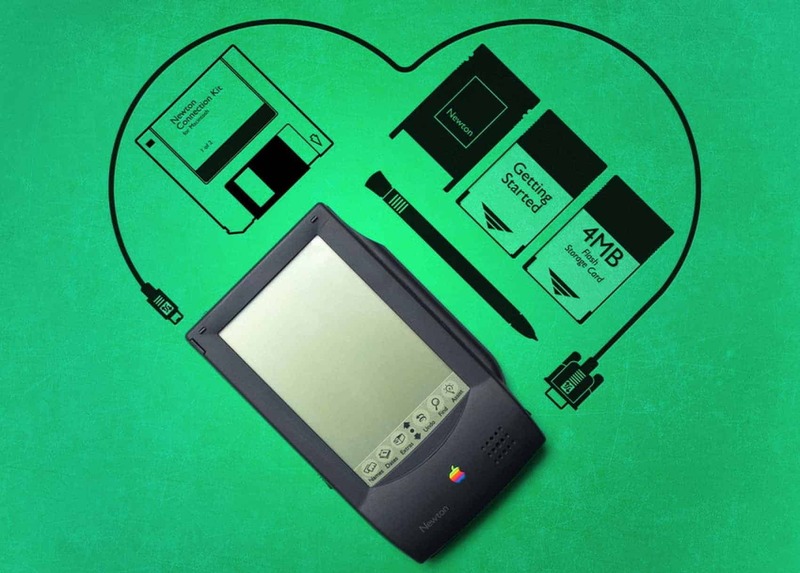 Like the Newton MessagePad itself, there’s a whole lot to like about Love Notes to Newton. The documentary, written and directed by Noah Leon, looks and sounds tremendous. The camera work is proficient, the cinematography is considered, and there are some beautiful touches like extreme close-up shots of the various Newton models. This could certainly appear on television without raising any questions. The Newton MessagePad remains one of Apple’s most forward-looking products. The movie covers a wealth of material. The filmmakers clearly know their subject, and they enthusiastically delve into just about every aspect of Newton lore. Love Notes to Newton includes discussions of the infamous “egg freckles” Doonesbury cartoon by Garry Trudeau, which lampooned the Newton’s performance. The documentary delves into the Newton’s pioneering use of AI for handwriting recognition, and much, much more. The film also makes great use of archival footage, serving up glimpses of Newton prototypes I’d never seen before. And that’s just the tip of the iceberg. The filmmakers cut no corners when it comes to interviews. Chief among these are Steve Capps, programmer of much of the Newton UI. Then there’s Sandy Benett, COO of Apple’s short-lived Newton Inc. spinoff. Larry Yaeger, creator of the Newton’s handwriting-recognition tech, also adds his two cents — as does former Apple CEO John Sculley. Then there are the Newton enthusiasts, all of whom provide interesting and salient points about the device’s history. I’ve always had a soft spot for the Newton, and I’ve long felt it gets short shrift when being dismissed as a failure for Apple. Watching Love Notes to Newton, it’s impossible not to be struck by the ambition of the project. Like the tech being worked on by rival General Magic at the time (which, coincidentally, was also the subject of a recent documentary), the Newton MessagePad gave us a glimpse of a mobile-first world that looked ahead to the iPhone and iPad. Even today, features like the Newton’s handwriting recognition and ability to beam information to other devices using an infrared communications port seems remarkable. Whether you used a Newton at some time between 1993 and 1997, picked one up in the years since, or never used one at all, you’ll come away with a new respect for one of Apple’s greatest, most underrated products. The biggest problem documentary makers face is not getting enough good material. The second is getting too much of it. It’s this latter problem that the makers of Love Notes to Newton find themselves in. Watching the film, it’s easy to see how they could get overwhelmed by the sheer number of moving parts to this story — and that appears to have happened. 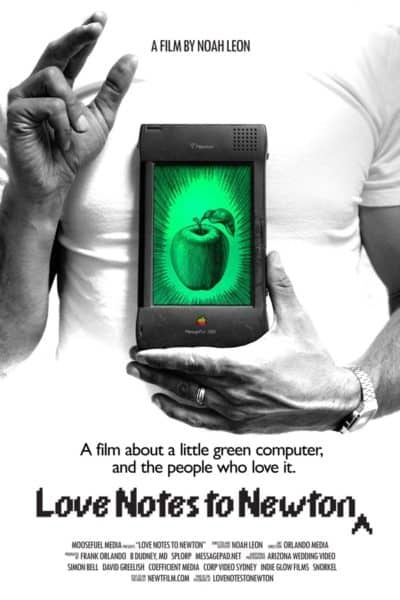 Is Love Notes to Newton a history of the Newton project, a film about Newton fans’ attempts to keep a beloved product alive, or a documentary about innovation that just happens to use the Newton to make its points? I’d suspect that the filmmakers couldn’t give us a straight answer. As a result, Love Notes to Newton feels shapeless. In some ways, it’s like watching a series of deleted scenes from a more tightly edited documentary. There’s very little through-line connecting them. And, as interesting as the individual scenes are, they don’t feel like they tell a cohesive bigger story. For instance, a lengthy section talks about coded Easter eggs in Newton OS. But the documentary includes far too little about the behind-the-scenes managerial changes that dictated the device’s rise and fall. The death of the Newton is handled just one hour into the 1 hour 40 run time, after which the film simply continues. Love Notes to Newton traces the history of a device ahead of its time. That’s a shame because, really, the Newton is all about the big picture. It’s about the dream of mobile computing, and how close Apple came to delivering it more than a decade before the iPhone shipped. Had the documentary been assembled more coherently, these individual pieces would work together better. There’s also the problem of assumed knowledge. If you’re a Newton fan, you’ll get a lot out of this documentary. If you already know about Apple’s managerial problems in the 1990s, the circumstances under which Steve Jobs returned, and the various iterations of Newton OS, you’ll find some delightful stories that will plug holes in your knowledge. But this isn’t a documentary that will likely appeal to casual Apple fans. Some tech documentaries tell a story that’s interesting and universal enough that you don’t need to be a tech geek to get excited by it. The Newton story contains those elements, but this documentary does not. That’s a shame, because all the pieces are there — just not necessarily in the right order. Were the filmmakers to revise Love Notes to Newton at a later date, the addition of a narrator and more context about the early 1990s would add a lot. “Why was the Newton cool for its time?” is a question any viewer will be more than able to answer by the time the end credits roll. “Why is this worth telling 25 years later as a feature documentary?” is not so clear. This isn’t to say I didn’t dig Love Notes to Newton. I’m an Apple history geek, and it’s great to have a story about Apple history that isn’t (directly) focused on Jobs’ firing and return to the company. If you’re a fan of the subject matter, I’d not hesitate to recommend Love Notes to Newton. However, if you’re looking for an engaging documentary you can show your less-geeky significant other, you might want to keep searching. Love Notes to Newton will be available via Vimeo On Demand at newtfilm.com on July 22. It will also screen that day at the the MacStock Conference and Expo in Illinois.